$2000 + shipping/pp fees or gifted. List on this guy is $3100, so you should save $1000 on a superb amp. It includes remote, tube cage, and wood sides. One and only price drop: $2k to your door, pp gifted. bump for Skip.... He's heading to Chicago from the Texas area around October 21st.... so if your along that route, great way to save some shipping costs and meet another Polkie! This thread is from 2016 dude!! Skip, what's you going to be doing around Chicago? I'm bringing a rig for an event in the area. Want me to drop by? Sweet!!! What area are you going to be around?? Somehow, this unit is still here. I like the front L and R RCA input jacks. Not sure I've ever seen full RCA input on the front plate, usually it's 3.5mm. Very cool! This thing pairs very well with the Harbeth Super HL5+. So many "I wish I wasn't dumping all of my extra cash into the basement" moments lately...including this beast. Not necessarily a bad idea -- Steve Deckert, e.g., used (uses?) 6 ohm secondaries on his "Zen" SE-84 amplifier series; a cost-effective way to give compatibility to lots of "modern" (lower impedance) loudspeakers with less taps. But it also has 8 ohm taps as well...wouldn't 4 ohm taps give it a better range for lack of a better term. Yeah, you're right -- OK, that is odd. No idea. You're obviously no thinking this through. You buy this with the proviso that it's going in the basement rig, therefore, just another "basement" renovation cost. While I like your thinking, Kerry, the basement currently has 4 complete rigs worth of gear and that isn't including the dedicate theater stuff. $1,800 plus shipping and you can own this beauty. Wow smoking deal on a great integrated. Japanese point to point build quality. Speaks to my heart. Plenty of power and you get phono and headphone capability. If I didn't already have too many tube amps, I would be all over this. Somebody is going to be very happy. Nice looking piece. I've been building a modest tube or hybrid/tube integrated bookshelf system in my mind the last several months. Been looking at the overseas stuff. I wonder how this puppy would mate up with the Ascend Sierra 2 Reference monitors that have a current Massdrop or the Aurum Cantus LS 2SV MKII at about half the price? I'd love to find out but I'm always broke. $1600, the exact amount for the career change program the Mrs wants to take next month....well the first portion anyway. I'm scrambling to get her enrolled. It looks like a beautiful piece but Priorities Man! 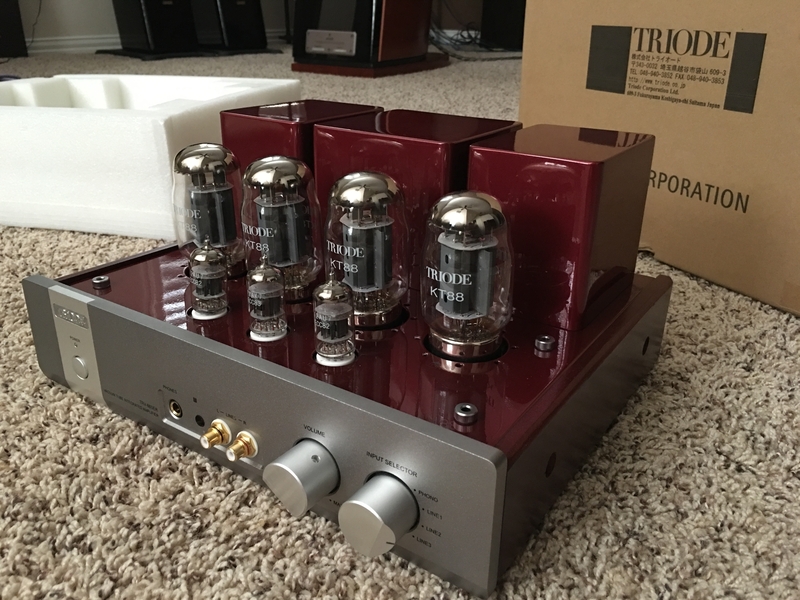 Is this a "SET" tube integrated like the MastersounD products?